If you are looking for removal companies in Ryton, then consider Quicksilver Moving & Storage. Based in Newcastle, we are just 7 miles away from Ryton and can help you move to your new property. When looking for a removal company it is important that you hire a company that is reliable, trustworthy and offers a great service. As members of the BAR (British Association of Removers), Quicksilver follow strict standards and regulations to ensure that each and every move adheres to industry standards, as well as our own. For more information on our services, please call today on 0191 264 6677 to speak to one of our removals experts. We understand that every move is unique and therefore requires a tailored process in order for it to be successful. At Quicksilver, we make our customers aware of the various options they have available when it comes to moving to a new house. Option 1: The first option you have is to take care of the move yourself. This is not a particularly popular choice as there are a lot of different elements involved in moving to a new house and it can be extremely stressful for those involved. You’ll need to pack up everything, ensure that the old house is ready for the new owners, transport all of your belongings to the new house…the list goes on. You will also have no protection if anything goes wrong or any loss occurs. Option 2: The second option is to hire a removal company like Quicksilver to complete the move for you. We will take care of the entire process and ensure that your move is successful. The moving process requires a lot of organisation and therefore take all precautions so that the day of the move is completely sorted. We will come to your house on the day of the move and load all of your belongings onto the transportation lorry. Our team will then drive to your new property and unload your belongings. Once this has been done then you can relax and enjoy your new house. Option 3: As well as the general removal, quicksilver we can also offer a packing service to customers. If you are struggling to get the packing done and need some help then we can help. When booking the removal, let us know what you require a packing service and we will factor this into the quote. Our packing service reduces the amount of work you have to do whilst moving to a new house, and will definitely keep your stress levels to a minimum! Option 4: We also offer additional services if you need any furniture dismantled. Our team will dismantle the furniture, load it securely onto the vehicle and unload at it back at the new property. 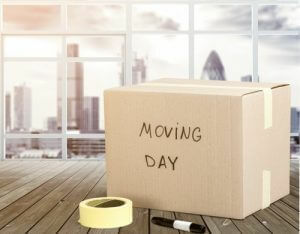 If you are struggling with any aspect of your move then let us know, we will do our best to help you. If you have any questions regarding our removal services then simply ask one of the team, who will always be happy to help you. Our removal quotes are fully comprehensive to ensure that all parts of the move are catered for. We offer a competitively priced removals service to all clients – you will always get your value for money with Quicksilver. As one of the premier movers and storage firms in the North East, we have an excellent reputation and have been providing removal services in Ryton for over 30 years. If you are interested in our Removal Companies Ryton service please do not hesitate to get in touch on 0191 264 6677.